We are taking part in the CMBA Blog Challenge for the month of October focusing on Words of Wisdom we’ve received from others. This week we are to share what words of wisdom we’ve received from family. 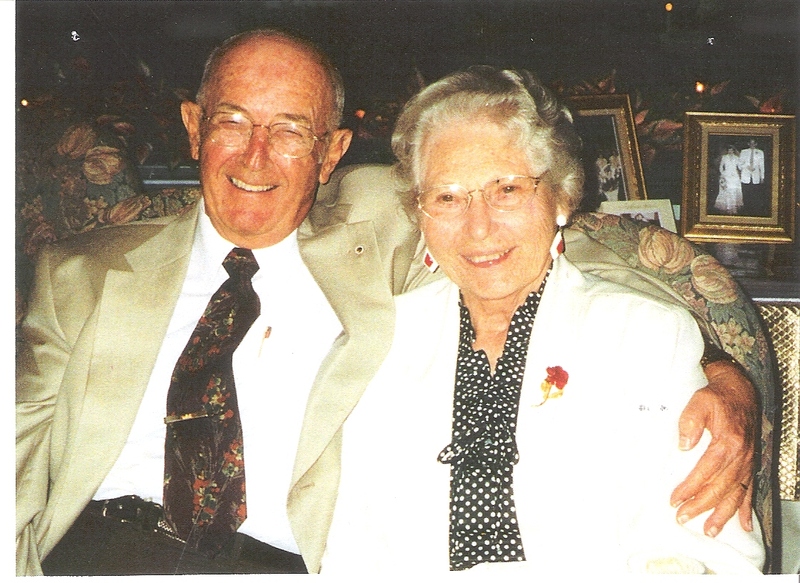 Stan and Lee Gray – my parents whom I miss so much! I must admit that my parents didn’t talk a lot about marriage, but they modeled many positive things about it as I grew up. Instead of Words of Wisdom, I would say they Modeled Wisdom for me. First and foremost, they displayed what loyalty and faithfulness looks like. They never once spoke of divorce or quitting. I can’t recall them fighting or speaking disrespectfully to one another. And they made sure our family was plugged in to the local church. My dad served our family by working hard, helping others and being an example of unselfish love to all who knew him. My mom served our family by working hard by my dad’s side in our family business (a neighborhood pharmacy with soda fountain), serving others at church and in our community, and being an example of generosity in all areas. I can’t recall a single conversation about the do’s and don’t’s of marriage, but I know what a good marriage looks like because of their example. My dad passed away after 57 years of marriage in 2004. My mom joined him 9 years later. As she was in the early days of grieving my dad’s death, I asked her what was the hardest part of it all–she said, “not having your dad here with me.” They were friends, companions and most importantly husband and wife. As my mom faced days of aloneness and grief, she refused to feel sorry for herself and chose instead to throw her time and energy into helping others who were in need. She started by cooking meals for those who were homebound. She said it helped her more than anything else could. I wasn’t surprised, for this was the habit they had formed their entire married life. Looking for a need and doing all they could to supply it. At their 50th wedding anniversary my sister, brother and I realized what a legacy we had been given and how their marriage had established our own. At that time my sister was celebrating 24 years of marriage, and my brother and I were each celebrating 18 years married. Gratefully, we have learned how to express the importance of cultivating a God-glorifying marriage with our three children. Two are married and will celebrate 9 and 10 years of marriage next year. Our youngest is yet to be married, but we are confident that she will build on the strong foundation established for her years before she was even born. What words of wisdom from your family have helped you in your marriage to stay the course? 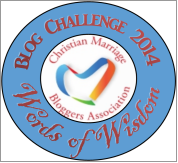 This entry was posted in Christian Marriage, CMBA Blog Challenge Word Of Wisdom, communication, Growing Strong Marriages and tagged CMBA Blog Challenge, Godly examples of marriage, marriage, Words of Wisdom. Bookmark the permalink. Wow – it is wonderful and amazing that your parents celebrated 57 years of marriage. As I read that, I prayed that God would grace my husband and I with such longevity in our marriage. It pains me though that I come from a broken home and that Baby Girl already has an understanding of what that means – something I hope and pray God will spare her from. Thank you! But concerning your daughter–realize that God is the one writing her story even now, and He will use all of this to shape her into the young woman He has created her to be. P.S. Such a lovely, happy photo. What wonderful memories. Thanks! I love this photo!